Friday, July 22nd: Pre-Race Day. 7:41pm – slow, mindful dinner of almond-toasted quinoa, pan-seared sweet potato, lemon-pepper avocado and fresh grated Parmesan quesadilla on Ezekiel 4:9 Sprouted Grain Tortilla. 8:37pm- pre-race day prep: gear packed and double-checked, Scratch Lab Raspberry mix in bottle put in the fridge, PB2-banana-honey-white-tortilla wrap made for mid-race fuel, cold-brew coffee for the morning started, road-trip podcasts selected and downloaded. 9:29pm- head meets the pillow. Saturday, July 23rd: Race Day. 4:21am- full body stretch routine, roll out essential muscles, throw in a few sun salutations, you know the drill. 4:38am – listen to the Trail Runner Nation Podcast: How Bad Do You Want It? as I gather last minute items, shimmy into my moisture-wicking trail clothes and lace up Ann, my Trusty Trail Shoe. 4:47am- blend 6 spears of frozen bananas, a cup of almond milk, a few squirts of agave nectar, two spoonfuls of PB2 powder and a handful of ice for a smoothie of champions. 4:51am- double check list, remake the list, double check the remade list. 5:01am- hit the road, Killers wafting through the car speakers. Breakfast of Toddy (cold-brew coffee), banana smoothie, Cashew Cookie Lara Bar and a whole bucket of water. 7:07am- pull into Wyandotte County Lake Park Shelter #2, pick up race packet for the 20 mile. 8:00am – countdown finishes, race begins. This was my lead up into the Psycho Psummer 10, 20, and 50K race this past Saturday, July 23rd. The 20 mile race that I have been training for since my second half marathon in April, the race that all my other races led up to. The forefront of my mind, the prefrontal cortex of my running life if you will. A half-marathon is already a long distance to run, how am I supposed to finish a half-marathon, and then run another 7 miles? I’ve done two 20 mile training runs, both took 3 hours and both wiped me clean. Both were also on road, how am I supposed to not die doing 20 miles on hard, single-track trail terrain? I’ve never run during the heat of the day during the hottest month of the year. What if I can’t do this? What if I begin to suffer too much? 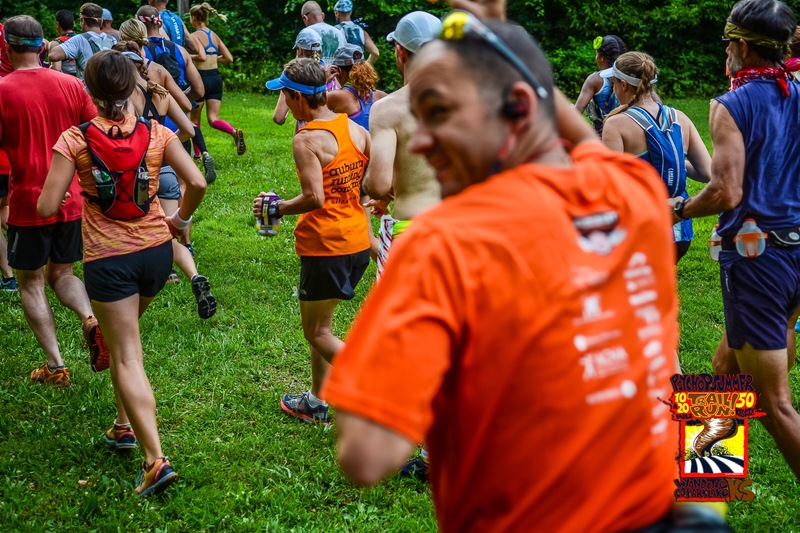 But, as I came to find it, I begin to really enjoy what I was putting myself through during the first lap of the Psycho Psummer run (the course is a 10.3 mile loop, run once for the 10-milers, twice for the 20, and three times for a 50K). I met some stellar people during the first loop that shared in the notion of how truly enjoyable it is to move the body in this way for such a long duration of time. So during the first loop, I decided that I wasn’t going to stop after two loops around the course, that I would go for a third. What better time? I was in this state of running euphoria, the zone, amidst other ultra runners that have such a palpable passion for the run, completely supported by my crew of wonderful parents, completely supported by aide stations every 2-ish miles. I was well heat trained, the heat wasn’t affecting me other than unleashing the full force of my hyperactive diva sweat glands. I was well-hydrated, I had my Camelbak, I had my race plans. Furthermore, it’s going to be easier to do a 50K when you’ve already run 7 miles than when you are starting at 0. So I went for a victory lap. No need for music, no need for podcasts, no need for entertainment. I ran with two wonderful people for the first lap and a half, found myself with hilariously entertaining people for the last half of the second lap, and then ran my own solo race for the third. And all of it was fun. All 6 hours of running were honest-to-goodness pure joy. The reception I received from the aid-station volunteers, most of whom were ultra runners themselves, my parents, and then finally even the race director was almost inexplicable. These people displayed such a passion for running that when they glimpsed the same passion in me they stoked it and made me feel 1000x cooler than I already felt. Upon reflection, I have some very key things to which I need to attribute a spontaneous ultramarathon finish. First and foremost: Since I started serious endurance running back in October, it has been a dream of mine to become an ultramarathoner. After every running memoir I read–Scott Jurek’s Eat & Run, Chris McDougall’s Born to Run, Rich Roll’s Finding Ultra, Bill Rodger’s Marathon Man, etc–I found myself in a state of overwhelmed awe, rocking back and forth humming “I want to do that with my life” over and over again. Having a repeated, constant, verbally-reinforced dream. My initial plan was to start small and build up to ultra running; start with a couple of half-marathons, do some trail half-marathons, then graduate to running 20 miles on trail. Throw in a marathon or two, do a trail marathon, then finally, finally do an ultra. What is actually stopping me from just doing an ultra right now? 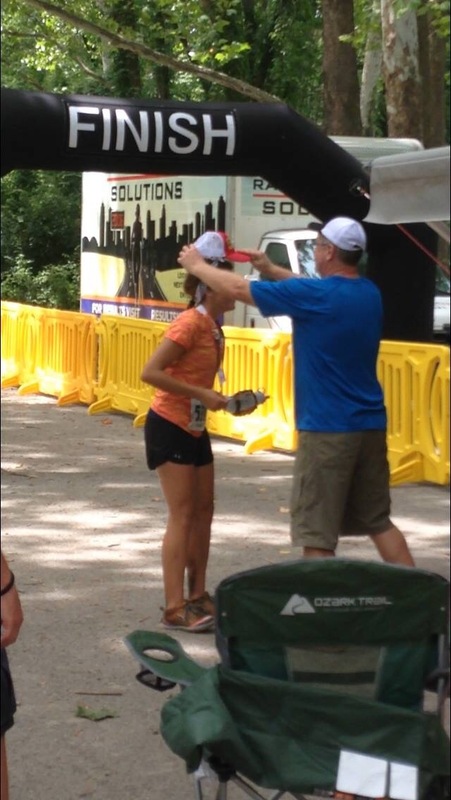 Secondly, I attribute my finish to the massage that I received from a beautiful soul the night before the race. I mean, yeah, it was quite grand to have a licensed-someone break up the lumps of stress I’ve placed on my body from running and work, but that physicality of the massage is not what I attribute the finish to. When one can get outside of the head an endless labyrinth of possibilities becomes accessible. Smooth stone. Rough stone. Smoooooooth stone. Rough stone. Smooth. Rough. The reason why I found so much enjoyment out of her massaging my palms was the fact that I was completely externalized. I wasn’t multitasking, I wasn’t contemplating the finer things in life, or planning out the rest of my day or even thinking about how good it felt. I was simply concentrating on the sensations I was feeling and allowing my body to do the rest. That’s what happened during my run, too. I got to a point where I wasn’t thinking at all about how I felt, or how much further I had left or even how far I had gone. I wasn’t thinking about the fact that I was running an ultra marathon, or taking into consideration the people around me. I was thinking; smooth trail, tall rock, pretty lake, downhill, ooh! Tree! Big hill, long root, rough trail. I located the “zone” that Scott Jurek talked about in his Eat & Run, this ability to tap out of all physical sensations and focus singularly on the external. If you can do this, if you can get completely outside of your head, outside of the sensations of pain and the desires to stop running and your awareness of how hot it is and how technical the trail is and how much the people around you are struggling so naturally you should be struggling, too…if you can free yourself from these fixations, I genuinely believe one could run forever. This leads me to the third attribution. I had mentally braced myself for suffering. From the moment I signed up for the race I knew it was going to be difficult. Probably the most difficult race I have ever run so far. 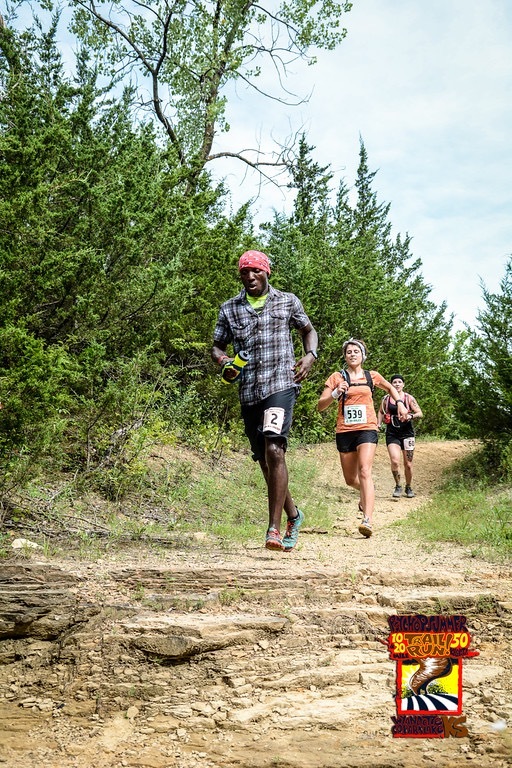 The heat of July, the technical trail, the distance…these things worked threefold to convince me that this race was going to be something that I both needed to prepare for and needed to expect to suffer during. Let’s see my breaking point; how much can I suffer? By telling my brain that this was going to be hard, that this was going to be long, it jumped to attention and didn’t give me any of those wimpy how much longer!? thoughts that sometimes plague me during a casual training tempo run. And suddenly, when I found that I wasn’t actually suffering all that much, my brain allowed me to run further. This is what I mean by the race being mental. This is what I mean by how important self-talk–positive self talk–is, and how important it is to coach yourself. If you read my previous post on the nature of control, I believe this ties in with it. You can almost trick yourself to do things that you never realized you could do. Or could do so easily. 20 mile training runs are hard. They are solitary (which I personally enjoy, but which tends to make the run seem longer), unsupported, long, unpredictable. Going for a 20 mile run is something I have to talk myself up to the night before, something I have to prepare physically and mentally for. But, as a result of the complexity of the brain, I promise you doing a 20 mile run is infinitely easier when you convince yourself that you are actually going to run 22 miles. If you tell yourself the run is going to be 20 miles, once you get to 20 your brain is going to shut the process down. You reached 20, right? That was the goal? Okay, now you are done. Time to recover. Bracing yourself is just another way to mentally prepare for something. You have to respect that running is hard and that it’s not something you are able to do without effort. If you respect it and allow it to humble you to where you begin to completely externalize, then it’s going to open you to a myriad of possibilities. So in summation, the ability to spontaneously run an ultra is attributed to having a relatively high-reaching and often-reinforced dream, completely externalizing, and bracing myself pre-race. But I would really, truly like to thank the runners that allowed me to pace with them, the out-of-this-world-amazing aid station volunteers and bomb-dignity race directors and my crew of selfless serving parents. This race has humbled me in ways that are probably not externally obvious. I have a respect for running and for the sport of ultra that I didn’t have prior to this. I feel incredibly blessed by the opportunity that was afforded to me by the run, as if the run itself were an outside entity passing judgement and permission upon pleading individuals. 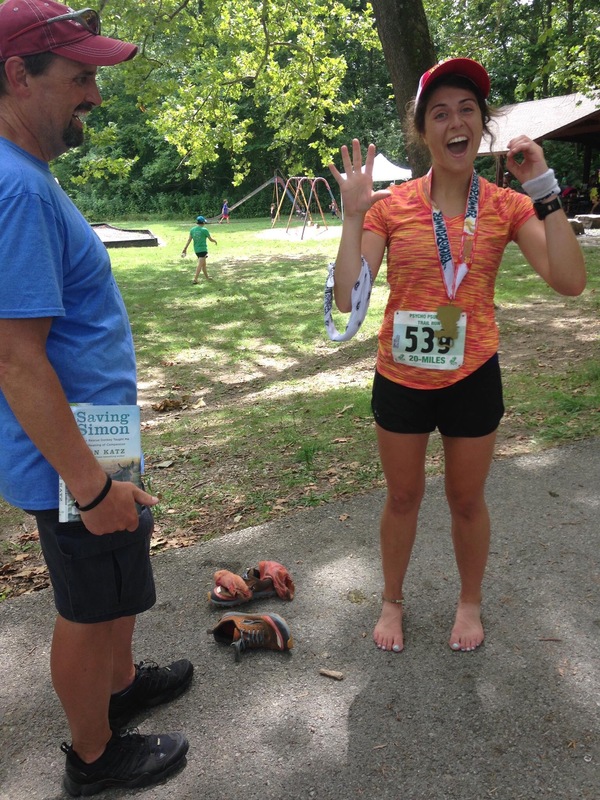 So this is my Psycho Psummer 50K race report, hopefully the first of many ultras that I will reflect upon. ← A Positive Fascination With Control: How Badly Do You Want A Happy Life?